Editor of Fathom and Senior Research Fellow at BICOM. Deputy Editor of Fathom and Director of Research at BICOM. Contributing Editor of Fathom and Senior Research Associate at BICOM. Deputy Editor of Fathom and Research Associate at BICOM. Author of Terror and Liberalism, Power and the Idealists and The Flight of the Intellectuals. Former political editor of the Jewish Chronicle and a former political editor of the New Statesman. He is founder of youth employment charity The Creative Society. Vice President of the Jewish Leadership Council and member of the board of BICOM. Dr. Jacob Eriksson is a Lecturer in Post-war Recovery Studies at the Post-war Reconstruction and Development Unit (PRDU), University of York. Director of Mossad from 1998 to 2002. Author of Man in the Shadows: Inside the Middle East Crisis with a Man who Led the Mossad (2006). Military correspondent and defence analyst for Haaretz and one of Israel’s leading media experts on military and defence issues. Former Chief of Staff to four Israeli ministers of defence and former head of the IDF’s Strategic Planning Division. Dr. Sara Hirschhorn is a University Research Lecturer and Sidney Brichto Fellow in Israel Studies at Oxford University. Lecturer in Sociology at Goldsmiths College, London, founder of the Engage campaign against antisemitism on the UK Left. Clive Jones is Professor of Regional Security in the School of Government and International Affairs, Durham University. Chairman of the Jewish Chronicle and author of Trials of the Diaspora: A History of Anti-Semitism in England. Senior research fellow at INSS and head of the Arms Control and Regional Security Program. Dr. Sarit Larry is co director of Mahapach-Taghir, a feminist Jewish-Palestinian organisation dedicated to social change through education, community empowerment, promoting of equal opportunity, and closing educational and social gaps. Contributing editor at the Financial Times and Director of Journalism at the Reuters Institute for the Study of Journalism. Professor of Comparative Politics and German Studies at the University of Michigan. Associate Fellow of the Middle East and North Africa Programme at Chatham House. Executive Director of the Henry Jackson Society and Director of the Israel Diaspora Trust. Former Director for Foreign Policy on the Israeli National Security Council. Fellow at the School of Advanced International Studies (SAIS) of Johns Hopkins University and author of many books including Trailblazers of the Arab Spring: Voices of Democracy in the Middle East, and Making David Into Goliath: How the World Turned Against Israel. Professor in Jewish Studies and Professor of Government, Smith College. Member of the board of BICOM and Chairman of CRU. Director of the Argov Center for Israel and the Jewish People, Bar-Ilan University and a research associate of The Begin-Sadat Center for Strategic Studies. Professor Emeritas at Tel Aviv University, where she held the Ruben Merenfeld Chair for the Study of Zionism. Since 2008, she has been a senior fellow of the Israel Democracy Institute. Dr. Asaf Siniver is a lecture at Department of Political Science and International Studies, University of Birmingham and held a Leverhulme Research Fellowship (2011-2013) on the Third Party Mediation in the Arab-Israeli Conflict. His latest book is Abba Eban: A Biography (Overlook Press). Philip Spencer is Professor of Holocaust and Genocide Studies at Kingston University, England, where he is also Director of the Helen Bamber Centre for the Study of Rights, Conflict and Mass Violence. His latest book is Genocide since 1945 (Routledge, 2012). Professor of Middle Eastern studies at Tel Aviv University and former director of the Moshe Dayan Center for Middle Eastern and African Studies. Einat Wilf served as a member of the Knesset for the Labour Party and Independence from 2009-2013. Author of Winning the War of Words: Essays on Zionism and Israel. Professor Emeritus at the Institute for Advanced Study, prominent American philosopher and public intellectual, editor of Dissent magazine. Associate Professor of Ancient History at Hebrew University and co-author of Israel and the Family of Nations: The Jewish Nation-State and Human Rights. Fathom welcomes fully edited submissions about all aspects of Israeli politics, culture, society and security; the peace process and peacebuilding; Israel’s diplomatic relations with regional states, world powers, and international bodies; trends and challenges within the Middle East; developments in UK-Israel relations; and the nature of contemporary or ‘new’ antisemitism or antisemitic anti-Zionism. We are also interested in writing about the history of all of the above. Fathom seeks crystal clear prose, genuinely expert analysis, and some style, please! Use of the term ‘discursive surface’ will probably produce a rejection. Writing in the style of an academic grant application will probably produce a rejection. Footnotes are acceptable, but please keep the number down and as we are an online journal, use hyperlinks where you can. And let’s have some opinions, boldly expressed but also warranted – supported by well-sourced evidence and cogent advocacy. We are flexible about the word length of submitted articles. Most pieces are 2000-3000 words but we are happy to publish longer pieces of 4000-5000 words, or more if the argument needs it, and is strong enough. Our pages are open to new writers (but see above about expertise). Please use UK English not US spelling and double-check all non-English words. So ‘realise’ not realize’. On page 1. Please include a brief description of your current institutional affiliation, research interests and recent publications for our ‘notes on contributors’ section, in case your submission should be accepted. Please also include a contact number and email. Footnotes should be kept to a minimum. We are an online journal so please use hyperlinks when possible. If you do use footnotes then spell out author/date/page in full: op. cit., ibid., loc. cit. and similar are not used. 1 Brewer 1980, p. 88. 2 Brewer 1980, p. 89. 3 Blackbourn and Eley 1984, p. 59; compare pp. 77–9. 4 See Burnham 1991, and 1995. 5 Vilar 1976, p. 67. 6 Engels 1987, p. 104. We do not seek long bibliographies. Fuller references should be given in a bibliography placed at the end of the review containing all sources cited in alphabetical and chronological order. Book titles are to be italicised; article titles from journals or edited volumes should be placed in ‘single quotation marks’, while the journal/volume from which it is taken should be listed in italics. The bibliographical listings of essays from journals (but not from edited volumes) should include page ranges, but without using pp. Please see examples below for exact formatting. Books cited which are reprints of earlier works should have the original publication date included in square brackets after the date of the edition cited. In footnotes, however, only the later edition’s date should be given. When citing editions which are taken from a series of collected works, the date given should be the date of publication of the particular volume, followed as above in square brackets by the date of the original work’s publication. The volume number should be listed. Please see the Engels reference below for the exact format of these references. If two or more pages are cited, we have pp. x–y. Please note that there is no space between number and n-dash. Ranges of pages (or years, or any other series of numbers) are cited as said. Not pp. 65–68, but pp. 65–8 (not ‘sixty-five to sixty-eight’ but ‘sixty-five to -eight’). Therefore, not pp. 112–3, but pp. 112–13. Blackbourn, David and Geoff Eley 1984, The Peculiarities of German History: Bourgeois Society and Politics in Nineteenth-Century Germany, Oxford: Oxford University Press. Bonefeld, Werner and John Holloway (eds) 1991, Post-Fordism and Social Form: A Marxist Debate on the Post-Fordist State, London: Macmillan. Brewer, Anthony 1980, Theories of Imperialism: A Critical Survey, London: Routledge. Burnham, Peter 1991, ‘Neo-Gramscian Hegemony and the International Order’, Capital and Class, 45: 73–94. Burnham, Peter 1995, ‘Capital, Crisis and the International State System’ in Global Capital, National State and Politics of Money, edited by Werner Bonefeld and John Holloway, London: Macmillan. Engels, Friedrich 1987 , Anti-Dühring in Marx and Engels Collected Works Volume 25, Moscow: Progress Publishers. Gill, Stephen 1995, ‘Globalisation, Market Civilisation and Disciplinary Neoliberalism’, Millennium, 24, 3: 399–423. Psychopedis, Kostas 1992, ‘Dialectical Theory: Problems of Reconstruction’, in Open Marxism: Dialectics and History, edited by Werner Bonefeld, Richard Gunn et al., London: Pluto Press. Vilar, Pierre 1976 , A History of Gold and Money: 1450–1920, London: NLB. Quotations of up to two sentences in length should be included in the main text, enclosed within ‘single quotation marks’. Quotations over this length should be given a separate paragraph. This paragraph should not be italicised, and should be indented with wider margins than the main review. The paragraph should be separated from the main text by a one-line space above and below the quotation. The indented paragraph should not be in quotation marks. Quotations within the quotation should be in ‘single quotes’. If the main quotation is shorter and is included in the main text within single quotation marks, quotations within it should have “double quotation marks”. If an article contains a quotation the original of which breaks any of our style rules, the original style is retained within the quotation. When words are omitted, there is a space, three dots, followed by a space. NB: If ‘dot–dot–dot’ is actually used for dramatic effect then it is closed up on the left. Dates as follows: 6 September 1972. 19th century. Numbers from one to nine (and first to ninth) spelt out, from 10 to 999,999 in figures. Then 1 million, 2.7 million, etc. Percentages use figures and (two words) per cent, eg. 8 per cent. When an abbreviated word comes at the end of a sentence, there is only one full stop. Hyphens only for hyphenated words. When dashes are used as semi-parenthesese, then it is text/space/n-dash/space/text. The full publication details should be listed at the beginning of the review, with the format title/author/place: publisher, year, pages. The Contract of Mutual Indifference. Political Philosophy after the Holocaust, by Norman Geras. London: Verso, 1998, 181 pp. … Geras claims to offer ‘a model of the world that we really inhabit’ (p.29). All quotes from any other sources than the book(s) under review should be footnoted, however, and a full bibliography should be included as for other articles. * The Editor wishes to acknowledge that this is an adaptation of the style sheet used by Historical Materialism, on whose editorial board he once served and whose current editors he thanks. Today’s discussion about Israel is too often supercharged with emotion and underpowered in expertise and nuance. It is time to confront this challenge. We stand at a crossroads and in need of tough-minded and expert intellectual analysis. Second, the revolutionary changes in the Arab world have transformed Israel’s neighbourhood into a radically different and bitterly contested political terrain. Social movements with eyes fixed on democratic vistas have been overshadowed on the one hand by the possibility of chaos and on the other by new forms of authoritarianism, religious and secular. Fathom will map this historic contest and explore the profound implications it bears for both Israeli security and the Middle East peace process. Th­ird, the Israel-Palestinian peace process requires fresh thinking. Two states for two peoples remains the only way to balance Jewish and Palestinian demands for sovereign independence and national self-determination, but there has been a waning of support for this project, among intellectuals especially. Fathom will be a partisan and artisan of the two-state solution, helping to put some intellectual substance back into the project of mutual recognition and peaceful coexistence between Israelis and Palestinians. Th­ough the significance of the obstacles to resolving the conflict cannot be ignored, we refuse to give in to the current vogue for pessimism. ‘­the peace process is dead’ is one of Middle East journalism’s favourite clichés. But giving up is not an option for millions of ordinary Israelis and Palestinians who yearn for a better future. And there is no cause to give up: majorities on both sides want peace and a conflict-ending agreement has been glimpsed more than once in recent negotiations. Fathom will offer hard-headed realism about where we are in the peace process, but we will also open our pages to ambitious thinking about where we want to be and how to get there. Fourth, Fathom will explore the current state and future prospects of the strategic relationship between Britain and Israel. ­The two countries share a history as well as many progressive values and a wide range of interests – not just strategic and political but in business and trade, culture and civil society, and science and technology. Fathom will fuse the rigour and intellectual credibility of the old-school journal to the tremendous potential of new publishing technologies and social networks. Th­e journal is published by the Britain Israel Communications and Research Centre, an independent British organisation founded in 2001 to foster a more complete understanding of Israel. BICOM believes in the right of the State of Israel to live in peace and security and in the rights of the Palestinians to statehood. We support a close relationship between Britain and Israel, based on shared values and interests. Unusually, Fathom’s contributors and advisory editors will be drawn from across the political spectrum. Our goal is not to push a narrow party line but to build a global intellectual space for serious bi-partisan debate about Israel and the region. We intend to create a more interesting conversation about Israel – more knowledgeable, more nuanced and more challenging (for all parties) than the tired slogans that are shouted in the boring megaphone war. So beware: there will be at least one piece in every issue that you disagree with, perhaps vehemently! Our wager is that you will keep coming back because you value expert analysis, acute commentary and grown-up debate. In that spirit we invite your submissions and your feedback. Indispensable reading for anyone who wishes to understand Middle Eastern politics; well researched, balanced, deeply committed to Israel but equally reading to ask tough questions about its policies; a unique combination of values and realpolitik. Shlomo Avineri, Professor of Political Science at the Hebrew University of Jerusalem and member of the Israel Academy of Sciences and Humanities. Fathom is a great publication that I thoroughly enjoy and always find useful. – Hussein Agha has been involved in Palestinian politics for almost half a century. He was an Academic Visitor at St. Antony’s College, Oxford and is co-author of A Framework for a Palestinian National Security Doctrine. Fathom’s great: accessible and expert analysis on strategic, cultural and economic issues relating to Israel. Amidst a lot of a sloganeering, Fathom provides nuanced discussion. As such, it fills a real gap. Amnon Rubinstein, Israeli law scholar, politician, and columnist. A member of the Knesset between 1977 and 2002, he served in several ministerial positions. The importance of the Israel/Palestine conflict for world peace is sometimes exaggerated, but for those of us focused on the conflict, for those of us who hope for peace here, even amidst the surrounding chaos, ‘two states for two peoples’ remains the necessary guiding idea. Fathom magazine is one of the key places where that idea is explained and defended; it deserves our strongest support. Michael Walzer, Professor Emeritus at the Institute for Advanced Study in Princeton, New Jersey, and editorial board member of Dissent magazine. Fathom has become a highly respected, leading publication of both in-depth analysis of fundamental developments and trends in the Middle East alongside serious studies of key events and trends that characterise the fast changing domestic Israeli scene. Fathom’s highest quality editorship and insistence on careful fact-checking is fast propelling the journal into becoming essential reading for every person involved in policy and politics in the region and on the international scene. It entertains orthodox views and approaches alongside highly conflicting and provocative analyses that are thought provoking and often allow extreme protagonists to state their cases. 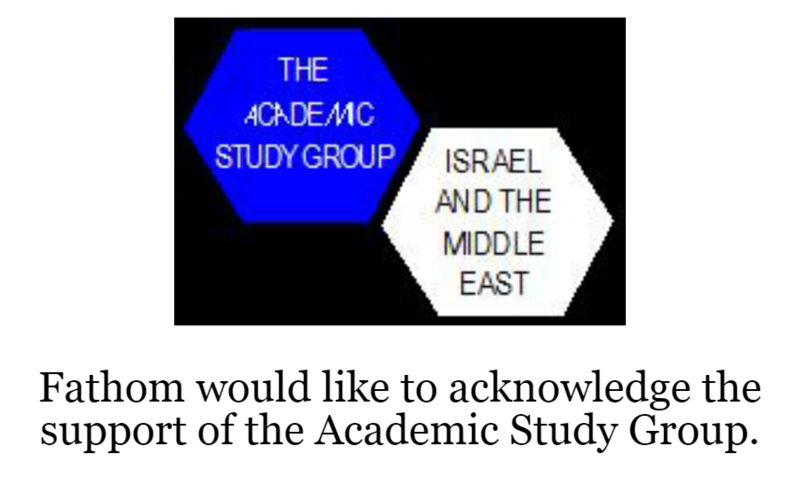 The opportunities Fathom affords critics and adversaries of Israel to state their case lends a unique quality to this product of BICOM – they enjoy a fair chance to state their views and air their concerns and also benefit from the very best available products of Jewish and Israel Advocacy. That is why Fathom has become the platform where several hundreds of thousands of readers learn, debate and disagree, but never fail to read every word printed. Efraim Halevy was director of Mossad and head of the Israeli National Security Council. For objective insights into Israeli politics, society and its relations with the wider world, few can match the scope and quality of BICOM’s work. Professor Clive Jones, Chair in Regional Security School of Government and International Affairs, University of Durham. BICOM and Fathom facilitate meetings between the two sides, scrutinise what went right and what went wrong in the process of negotiations over the past two decades. Only by understanding the other and accepting the others existence can the Arab-Israeli conflict be solved. BICOM and Fathom are leading both of us closer along that route. BICOM and Fathom have leverage that many lack and serve as one of the major catalysts that can remove obstacles on the road to peace. Elias Zananiri is Vice-Chairman of the PLO Committee for Interaction with the Israeli Society. He is a former journalist and spokesperson for the PA’s Ministry of Interior and Internal Security. BICOM and Fathom have played vital roles at a time when political and intellectual dishonesty seems to prevail in so much discussion about Israel and the Mideast. They have countered it with energy, integrity and balanced understanding. Mitchell Cohen, Professor of Political Science at Bernard Baruch College and the Graduate Center of the City University of New York and Editor Emeritus of Dissent. As an Israeli concerned for Israel’s future as the nation state of the Jewish people and for a peaceful resolution of Israel’s conflict with the Palestinians people, I sincerely believe that Fathom’s Peace and Coexistence Research Project is a critical component of the ongoing struggle to maintain the political relevance of the Two-State solution. 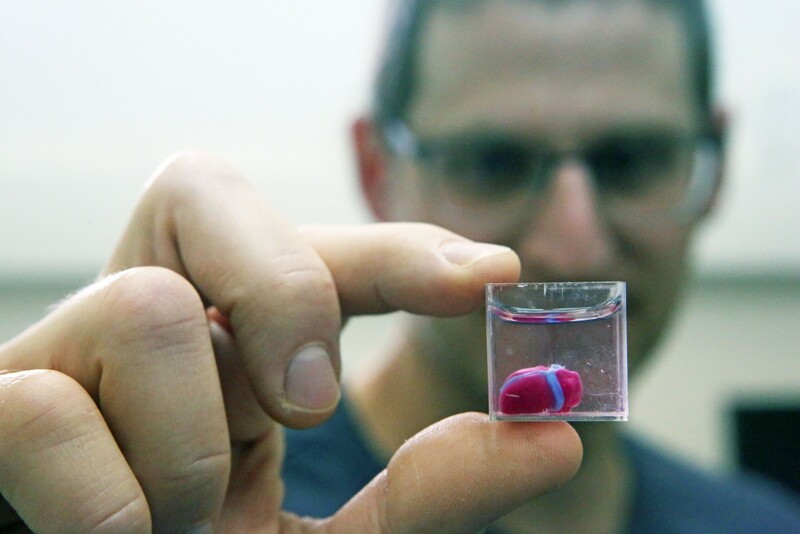 The sense in some circles that this solution might no longer be relevant is potentially extremely dangerous for both Israelis and Palestinians. Fathom is, therefore, worthy of every support. Asher Susser, Professor Emeritus of Middle Eastern History, Tel Aviv University, Israel. Fathom is a beacon of light in difficult times. ‘Two states for two peoples’ remains a vital interest for the State of Israel and Fathom promotes a creative, yet practical discourse that contributes towards that goal.’ Prof. Jonathan Rynhold, Director, Argov Center for the Study of Israel and the Jewish People, Deputy Head, Dept. of Political Studies, Bar-Ilan University. Many people have deeply held beliefs and passionate opinions about Israel and the Middle East. Very few people actually know about Israel and the Middle East. Fathom is an excellent source for those who wish to join the camp of those who actually know something about Israel, rather than just have an opinion about it. Einat Wilf, a member of the Knesset for the Labour Party and Independence from 2010-2013. Fathom is a very impressive publication. I congratulate the editors for filling an extraordinarily important gap on the UK intellectual/political scene. Steven J. Zipperstein, Professor of Jewish Culture and History, Stanford University. Fathom is fascinating! A genuinely interesting, well-designed and thought-provoking quarterly journal. We are delighted to include it in the INSS library collections.’ Moshe Grundman, Director of Publications at the Institute for National Strategic Studies, Tel Aviv, Israel. For anyone interested in Israel and its neighbourhood, Fathom is certainly one of the very best sources – thoughtful, excellently informed and fully reliable. Alexander Yacobson, Associate Professor of Ancient History at the Department of History at the Hebrew University of Jerusalem. People in the West, and particularly Britain, are largely ignorant about Israel and its relationship with its neighbours, and mainstream media comment is often superficial and simplistic. Fathom’s editors seek to provide realistic, in depth and comprehensive coverage, and to portray Israel in all its complexity without shunning the difficult questions. Mike Whine, author of many publications, including The Radical Right in Europe (2012). As a British-Israeli it is a breath of fresh air to see such a diverse range of informative articles and opinions within one journal. If you want to understand the complexities around Israel and Israeli society this is invaluable. Elizabeth Harris-Sawczenko, Council of Christians and Jews.